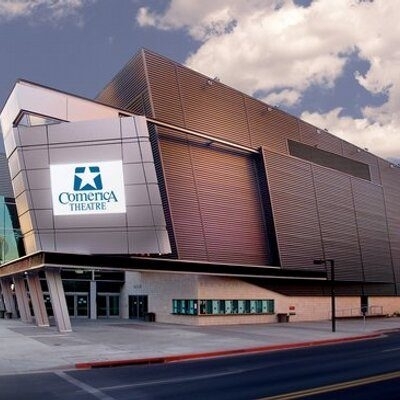 Comerica Theatre is located in the heart of downtown Phoenix. This midsize venue hosts a variety of acts including: Rock, Comedy, Pop, Family Shows, Country, Jazz, and everything in between! Comerica Theatre was designed with studio quality sound and excellent sightlines. VIP Sky Suites and Lower Reserved Seats are available in a variety of packages designed to accommodate your needs and budget. The Best Seats in the House to every show that you select! Premium Reserved Parking – get in and out of the parking garage with ease! Private Venue Entrance – no waiting in long lines! In-Suite Wait Service – either pre-order from a more lavish menu or order on-site so you never have to miss a minute of the show! VIP Ticket Banks: Our most popular ticket plan provides you with the flexibility to choose only the shows you want to see on either the main level within the first 15 rows from center stage or in the VIP Sky Suites. Ticket Banks allow you the flexibility to select both the quantity of tickets and the premium seat locations for each show. As you request tickets, the premium ticket value for your desired locations are deducted from your pre-paid ticket bank. The larger the bank, the lower the price per ticket! Personal Seat License: An affordable way to guarantee the same location for every show of the season. Pay a flat rate for the rights to your Premium Seat location. Pick and choose which shows you would like and only pay the standard ticket price for the shows you would like to attend. Season Suites: Enjoy your favorite acts from your own private room! Great for entertaining clients and prospects and rewarding employees! Series Ticket Packages: Select the number of shows, seat location and tickets per show that you would like to attend. The more you buy the more you save! VIP Packages are the ideal way to entertain clients and prospects, reward employees, or celebrate with friends and family. There is something for everyone in your entertainment portfolio at Comerica Theatre! Contact Courtney for more information on pricing and availability today! Mention "Small Biz” for a special offer!